Volk Racing RE30's For Sale! I don’t normally post for sale ads on the blog but these wheels deserve a post. 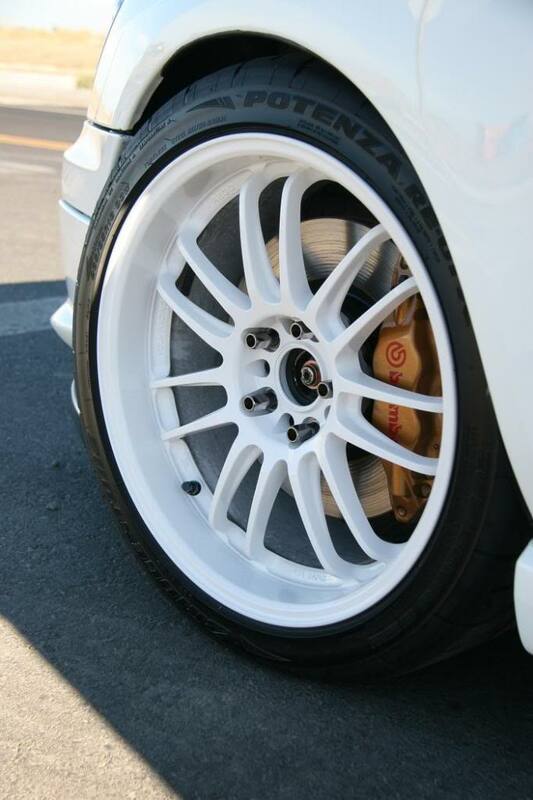 These are the famous White 18×9.5 +35mm Volk Racing RE30s from Mr. Adam aka BM_STi aka AdamBOMB_STi. Some of you may recognize Adam’s car from one of my first articles “9.5” Wheels on a GD Impreza”. Adam was the inspiration for that article. If you’re looking for an aggressive setup for your STi, you’re in luck because they are for sale!! Adam is moving on to some bigger wheels for some unknown plans. 🙂 Either way, someone needs to pick these up as they’ll work perfectly on any GR/GV or with some work a GD. This is the original Proper Fitment setup, big wheels, big tires, loads of grip. One of the first GD Imprezas with 9.5s.